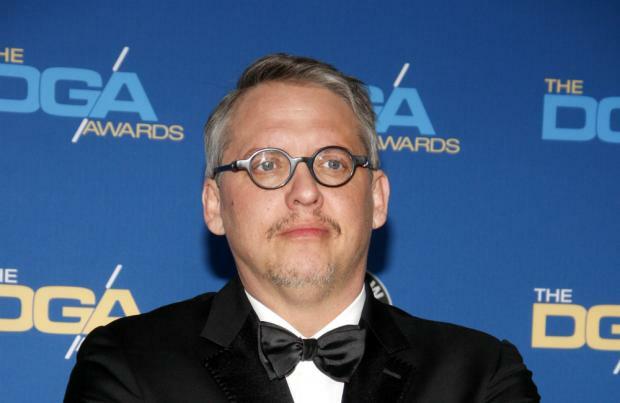 Adam McKay has held talks about directing 'Guardians of the Galaxy Vol. 3'. The 'Big Short' filmmaker has been in discussions with Marvel Studios president Kevin Feige about the possibility of helming the movie – which was pushed back earlier this year after director James Gunn was fired by Disney over controversial past tweets – but hasn't said whether he will take on the role or not. He said: "We've talked a little bit. Yeah. We were kicking around the idea of the Inhumans at one point. We're always kind of talking. "I think Feige is just the greatest and I think what they're doing is amazing." But McKay has admitted he would "do anything" to make a Silver Surfer movie one day. Speaking on the 'Happy Sad Confused' podcast, he added: "Silver Surfer is the one I want to do, man. "I would do anything to do Silver Surfer, because visually that would just be ... you could do what the Wachowskis did with 'Speed Racer' with The Silver Surfer. "At the same time, there's a great emotional story in there, where the guy has to make the choice to save his planet." McKay's comments come three months after Bradley Cooper dismissed the idea of replacing Gunn on 'Guardians of the Galaxy 3'. When asked about whether he'd be interested in stepping up if the studio approached him, Cooper – who voices Rocket Raccoon in the franchise – said: "In directing it? "I could never direct anything that I didn't write. No, I could never direct anything that I didn't write." Cooper is among several of his fellow castmates who signed a statement earlier this year defending Gunn. The statement read: "We fully support James Gunn. We were all shocked by his abrupt firing last week and have intentionally waited these ten days to respond in order to think, pray, listen, and discuss.